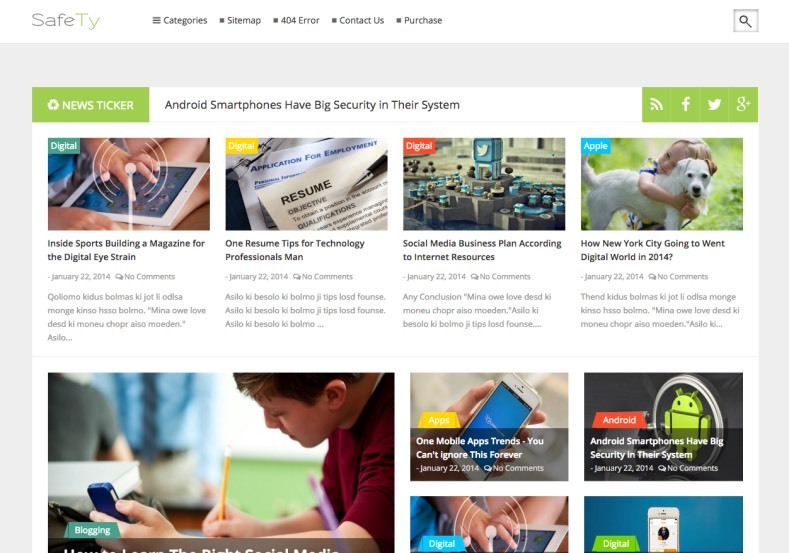 Safety blogger template is SEO ready, responsive design enabled template. This template has four layout styles named Safety design, Safety tech design, Safety gallery design and safety blog design. So you can built style easily. The template has layout with 3 columns footer and 2 columns layout with a right sidebar. You can built navigation with the easy slider and the drop down menu and page navigation options. You can monetize easily with the template with the responsive ad placement. Masala has amazing social bookmark widget. The tabbed widget facility helps to show multiple tabs in single widget. Auto thumbnail re-size facility helps to show your images as high quality. Best choice for news and magazine websites.